Triangular design lifts sheets evenly and smoothly over rings which prevents documents from tearing or curling. Fits standard three-ring binders from 1" to 3" capacity. Triangular design lifts sheets evenly and smoothly over rings—prevents documents from tearing and curling. 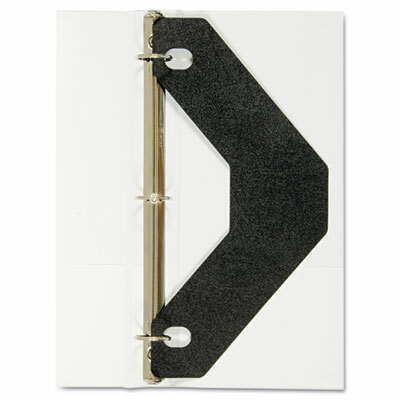 Fits standard three-ring binders from 1" to 3" capacity.